Great box for the size restrictions and mounting I was looking for. The power supply was much too small for what I was doing...ended up spending more for the replacement picoPSU kit than I did for the case. The 2.5" drive mounts under the motherboard are genius. 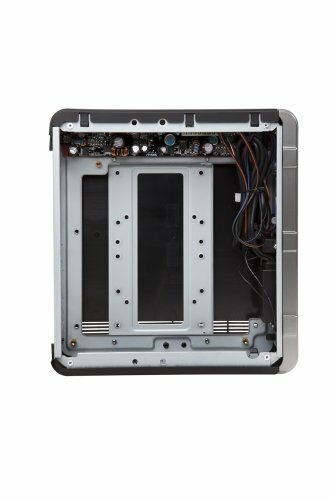 For small form factor systems that use standard CPUs and 2.5 drives AND VESA mounts, there are few options. This is a great way to go. If you are on passive cooled SoC boards and mSATA drives, you've got more options. Kocking off a star for small-ish PSU and some fragile vents on the back. Would definitely purchase again if the board/CPU could run on the included PSU. 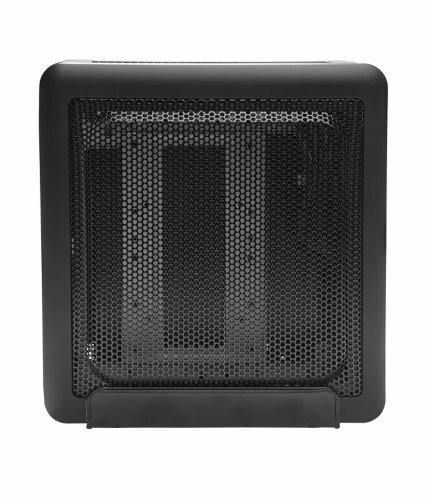 Great overall case and airflow, but a bit overpriced. Love the VESA mount capabilities. I can not say enough great things about this case, it looks good, its cheap, it was also very easy to build in. No USB3 ports on the front panel; underpowered (90w) integrated PSU. In my opinion the best extra-small mini-itx case out there. This little boy is very small, even smaller than my internet modem. 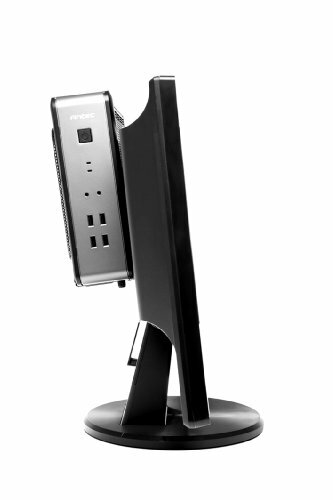 After a while Antec finally upgraded the model and now included 2 front USB 3.0 ports, sad thing there is no type-C yet. Thanks to almost entire side panel being a grid it can have a relatively good air-flow even with its diminutive size. Cable management can be a good challenge, but if you choose to use an m.2 SSD and only a 2.5 "drive, which was my case, a generous space is left behind the motherboard to smash all the leftover cables. Biggest problem I found is the PSU being only 90W. For this project it was close enough but if I wanted to upgrade to the Ryzen 2400G it would be risky. You can change for a greater pico-PSU if necessary but there would be more money spent. 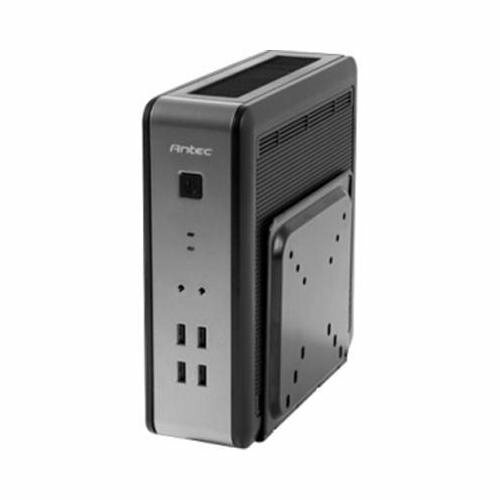 Antec could have used one of at least 120W, would fully meet any APU. Obviously, get the "u3" variant with USB 3.0 ports. I think this is a great case overall but I wish the PSU was more like 110W even though I've never had any problems with just 90W. The built-in USB 3.0 header has thick, stiff, and overly long cables which eats up more room than it should (tuck it behind the mobo where there is extra room).